Kastoria city. 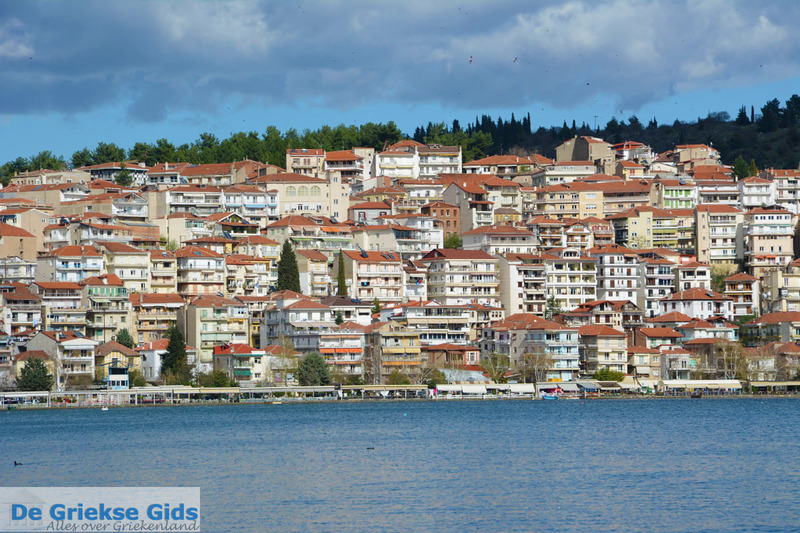 Kastoria city is the capital of the province of the same name. 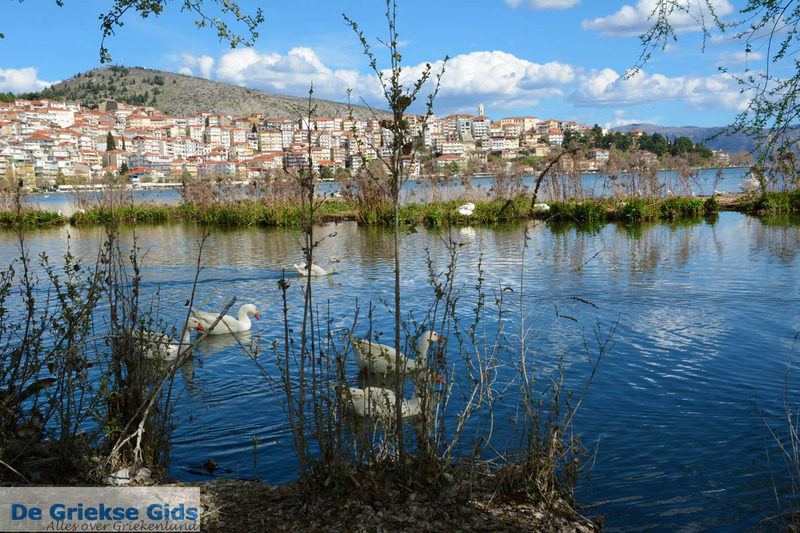 Kastoria is located partly on a peninsula, in the middle of a large lake, surrounded by plane trees. 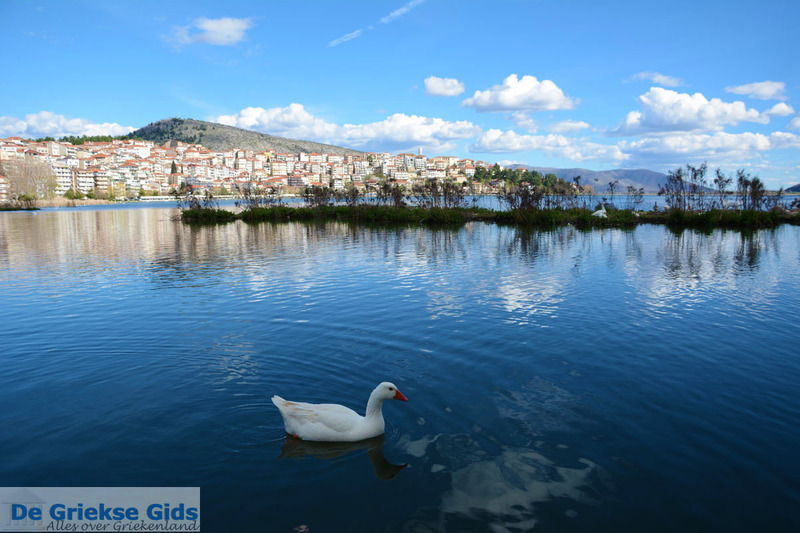 The name of the lake is also Kastoria, but many call it Orestiada. The city lies at the foot of mountains Grammos and Vitsi. Around the lake’s 30 kilometers (19 mi) perimeter, at 630 meters (2067 ft) above sea level, is a cycling and hiking trail. 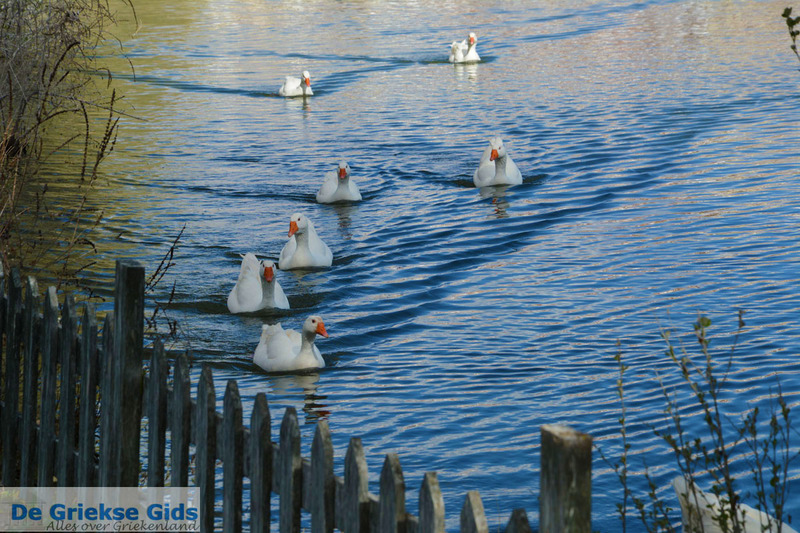 This beautiful route also passes through several villages. Many beautiful mansions and Byzantine monuments characterize the city. The neighborhoods Doltso and Apozari are the most beautiful areas of the city, because their buildings are preserved in their original state. 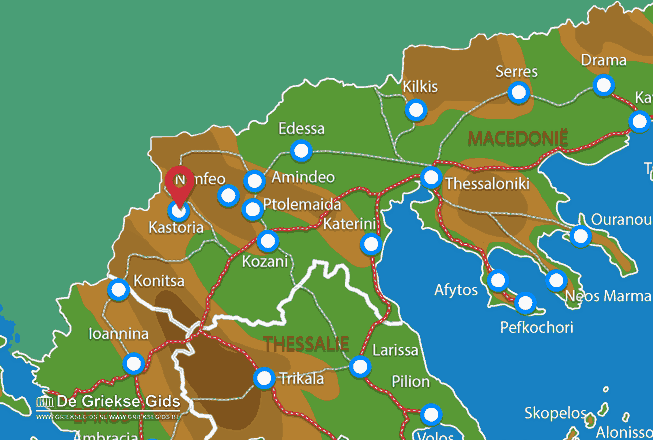 Once upon a time, Kastoria had enormous wealth, particularly in the period from the 17th to the 19th century. It became economically prosperous through trade in furs and for this reason the city is very well known in Greece. Very cozy is the promenade on the waterfront, where many taverns and kafeneions (Greek coffee shops) are located. 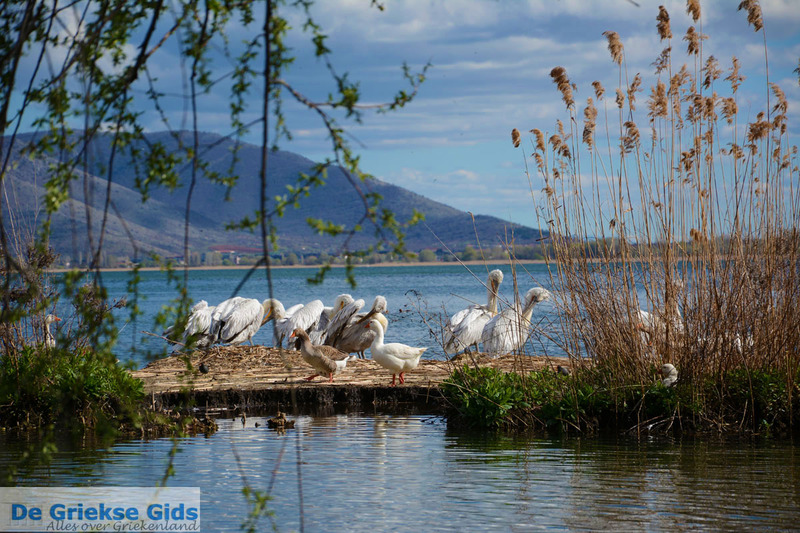 The lake is home to lots of fishing boats, and subsequently there is lots of fresh seafood. The lake also serves many paddlers who come here to train and exercise. When you walk around the peninsula-route, you will see great sights. Here are the caves of the “Dragon” (Spileo tou Drakou). 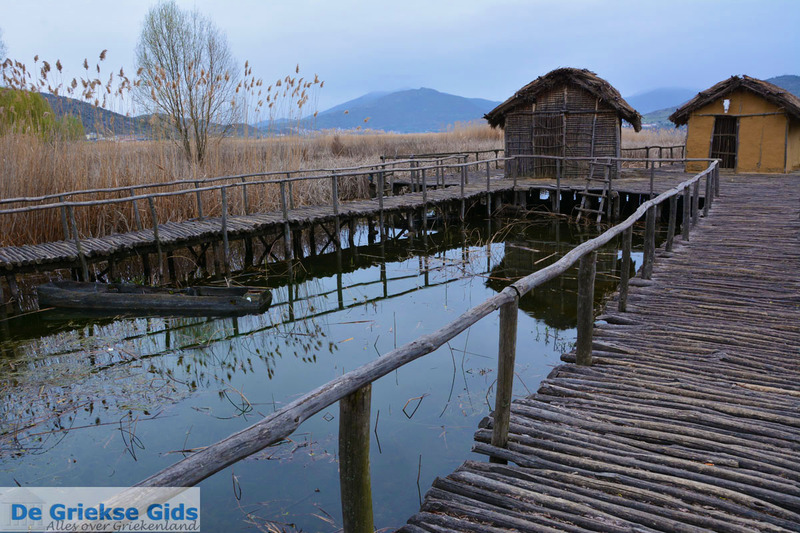 In the 300 meter (984 ft) long cave are seven separate lakes, which are connected to each other by wooden bridges. The name “Dragon cave,” was given to the cave because the cave’s entrance looks like the mouth of a dragon. In the caves have been found remains of bears that lived here 10,000 years ago. The lakes in the cave are connected via underground to Lake Kastoria. 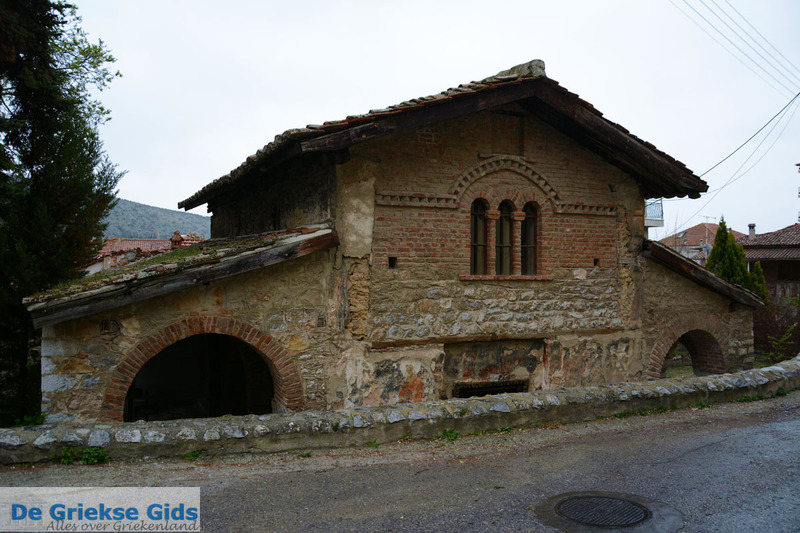 In Kastoria are also many interesting Byzantine churches and monasteries. Near the cave of the Dragon there is the historic monastery of Panagia Mavriotissa. 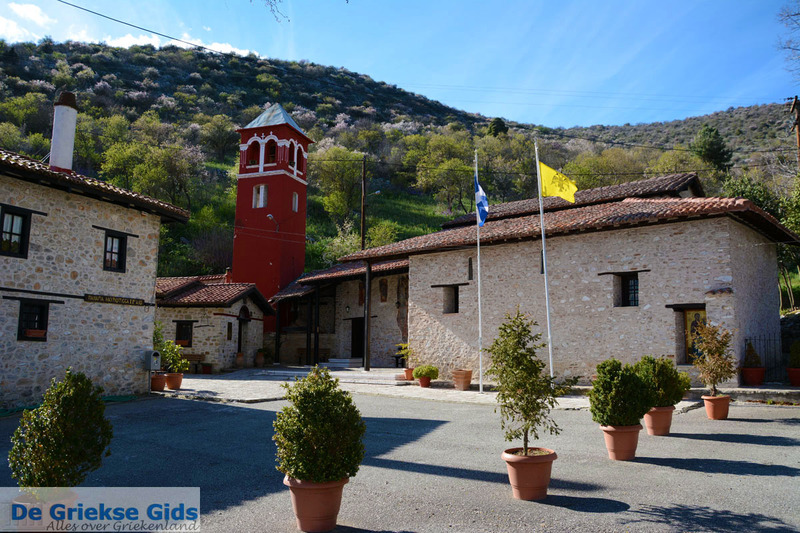 In the 11th century, Emperor of the Byzantine Empire, Alexios Komninos the 1st, founded this monastery. On the outside of the church you can see paintings from the 12th century. 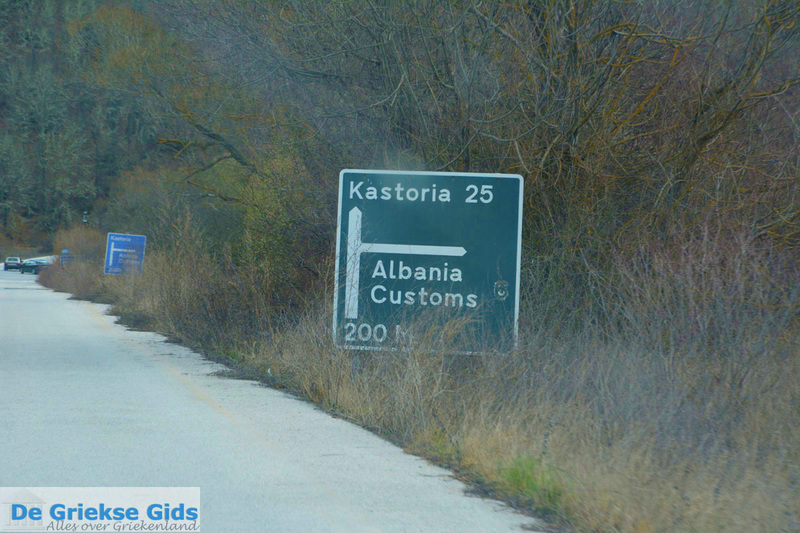 Kastoria: Where on the map is Kastoria city located?